High school is scary enough. You already have teenage angst compounded by raging hormones and with modern teenage drama; it makes for a volatile situation. It’s even worse, I imagine, with ghosts thrown in. Schools, ranging from preschools to university buildings, appear frequently on lists of haunted places. In his 2003 book, Haunted Schools, A.S. Mott suggests several reasons why schools may be rife with spiritual activity. Some activity can be linked with the land upon which the school sits, while others have been the scene of deaths, accidental or otherwise, that may contribute to a haunting. Students who pass on away from school, may return to the place where they spent their formative years, or devoted faculty or staff members may continue their duties in the afterlife. Some of these stories are simply urban legends that flourish within the school community. They bear the hallmarks of oral storytelling as each teller adds their own flourishes compounding the exaggerations and inaccuracies, though there sometimes remains a kernel of truth. 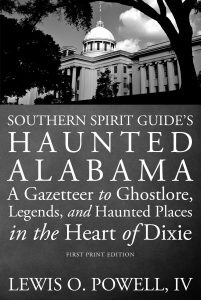 Among haunted schools in the South, there are some very notable haunted schools including C. E. Byrd High School in Shreveport Louisiana; Airport High School in West Columbia, South Carolina; Bristol Tennessee High School in Bristol, Tennessee; and Matthew Whaley Elementary in Williamsburg, Virginia. 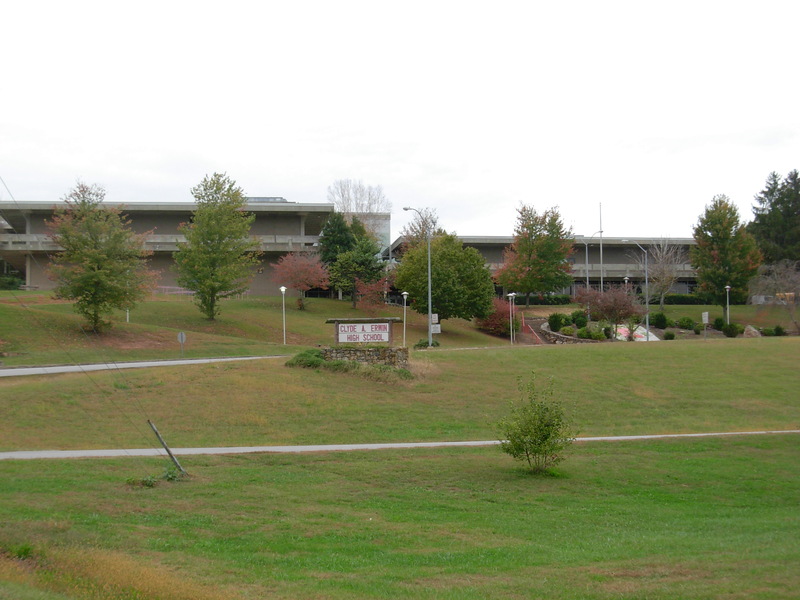 North Carolina has a few notable haunted high schools including Erwin High School in Asheville, which was built on the site of a potter’s field cemetery. While most of the graves were moved prior to construction, it’s possible that some were missed which might account for some of the activity. Asheville, North Carolina’s haunted Erwin High School, 2012. Photo by Lewis Powell IV, all rights reserved. I always wondered if my alma mater, LaGrange High School in LaGrange, Georgia was haunted. The school’s main building dates to the 1940s with many modern additions. Parts of the building were creepy, though I never heard anything substantial as to activity. Not that I wasn’t interested, in fact, I worked on an independent study my senior year about ghosts. While anxiety and procrastination marred that project, I believe all that work was really ramping up for the debut of this blog. This is why I’m jealous of the student named in this recent article from the Wilson Daily Times; she’s gathering paranormal evidence about her high school for her senior project. Certainly it appears that there are some very strange things going on at Fike High School. This project got its impetus when a student watched her classroom door close by itself during class. Moments later, the door opened again about six inches and a nearby projector head flipped downward by itself. The student began asking questions which has culminated in her concentrating on the school haunting as her senior project. Witnesses to these phenomena include teachers, janitors and the assistant principal. A coach walking along one hallway began to notice the classroom doors closing by themselves as he passed. The assistant principle saw a white figure in the hallway when she was a student, while a current math teacher started hearing odd sounds one night as he was working late. He went to the main office to check the security cameras and noticed the motion detectors were alerting him to movement in the second floor hallway. When he went to look, he saw a white figure at the end of the corridor. The student has called in a paranormal team, The Paranormal Detectives, to investigate. The results of the investigation will be publicized in the local paper. Wilson County Courthouse in downtown Wilson, North Carolina. Photo 2014, by Ammodramus. Courtesy of Wikipedia. The school, built in 1958, occupies the site of a farm, though the student has been unable to find evidence of any particularly traumatic events occurring there. “I need to keep digging to find out if anything traumatic happened.” she said. Butcher, Lucy. “Fike High School under investigation for paranormal activity.” The Carolina Mercury. 14 March 2013. “Paranormal team visits N.C. school after strange events reported.” Wilson Daily Times. 11 March 2013. Ralph L. Fike High School. Wikipedia, the Free Encyclopedia. Accessed 19 March 2013. Nota Bene: This is a repost. The original article was posted 31 May 2011. Sometimes I’ll encounter an article that opens a whole Pandora’s Box of articles and hauntings. This is one of those cases. Initially, I was looking for information on the Westminster Opera House in Westminster, Maryland and decided to Google “haunted theatres Maryland.” An article from the Hagerstown Herald Mail regarding the Maryland Theatre popped up and I dutifully added it to my files and then began searching out whatever else I could find on it. A search for “Maryland Theatre ghost” turned up a few more articles, but most importantly, an article from Hagerstown Magazine detailing a number of haunts in the area. What joy! And a quick jaunt to the website of the Maryland Historic Trust et voila, I now have a copy of the theatre’s National Register of Historic Places nomination form. Thank goodness for the convenience of the internet! Hagerstown is situated in western Maryland’s Washington County, just south of the Mason-Dixon Line in the Great Appalachian Valley. Its position brought much of the action of the Civil War to the city’s doorstep with armies of both sides tramping through its streets on a number of occasions. The Battle of Antietam—the bloodiest single day in American military history—was fought just south of the city. 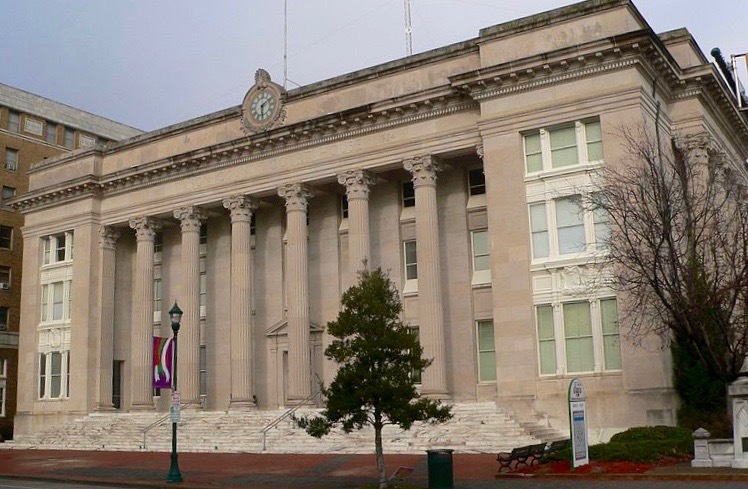 Hagerstown prospered throughout the 20th century and is now the largest city in Western Maryland. 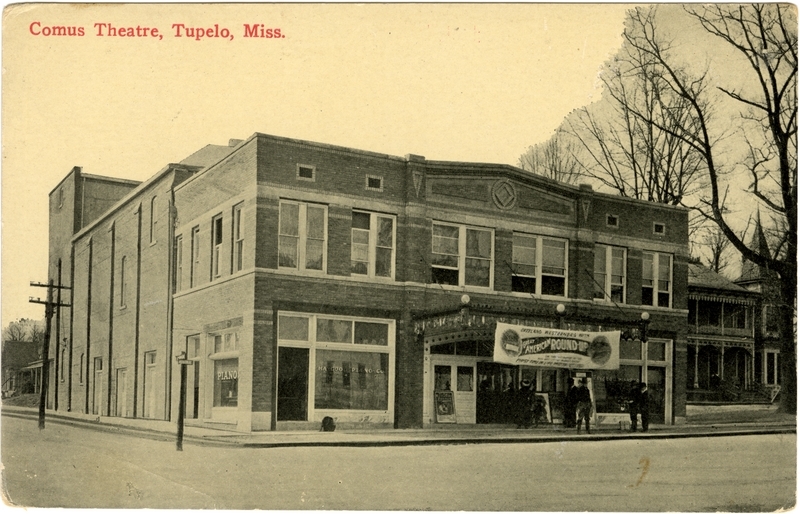 The Maryland Theatre opened in 1915 as a top tier vaudeville and movie house. The structure was built in the interior of the 20s block of Potomac Street. 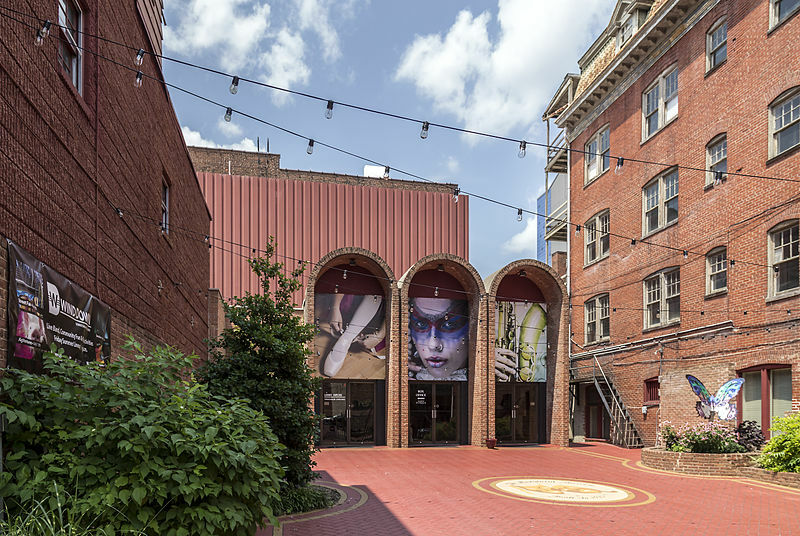 The entrance and lobby of the theatre, located on the ground floor of an adjoining apartment building, extended towards Potomac Street. The theatre was designed by Harry Yessler, a local architect, in conjunction with Thomas Lamb, one of the preeminent theatre architects of the day. The interior of the theatre is an elegant Neoclassical design complete with decorative plaster work. The modern entrance to the Maryland Theatre, 2014. Photo by Acroterion, courtesy of Wikipedia. Even as live theatre became increasingly scarce, the theatre continued in business until it closed in 1973. The following year, the building lobby and entrance were destroyed when the adjoining apartment building burned. Firefighters valiantly fought to save the theatre itself and were successful, though one life was lost in the apartment building. The remains of the building and the theatre’s lobby were not salvageable and they were razed. When the theatre was reopened, a small lobby was constructed with a passage to Potomac Street. Sadly, from the outside, the lobby’s 1970s modern architecture is at odds with the opulence within the theatre. The modern theatre now plays host to numerous cultural events and is one of the premier cultural venues in the region. A commenter under the name “mymixedtapeforher”posted on the original entry that friends had experienced quite a bit in the theatre including the feeling of hands pushing on their backs, being told to “get the f*** out” by a disembodied voice” and finding a sandbag (used as weights on the theatre’s fly system) sliced open. These details, if true, make this quite an interesting haunting. Coffey, Claudia. “Hagerstown Theater Believed Haunted.” com. 31 August 2009. Finglass, Jack L. & Ronald L. Andrews. National Register of Historic Places Nomination Form for the Maryland Theatre. Listed 13 November 1976. Hagerstown, Maryland. Wikipedia, the Free Encyclopedia. Accessed 31 May 2011. Julius, Erin. “Is the Maryland Theatre haunted?” Herald-Mail. 30 August 2009. Widener, Christina. 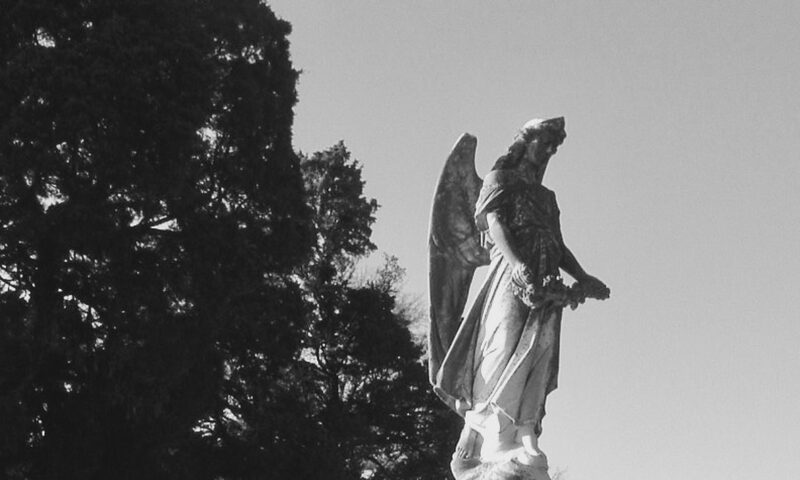 “Mystery Lives Here: Local Ghost Stories.” Hagerstown Magazine. September/October 2000.